Well, it broke “four.” It broke a world record, too. 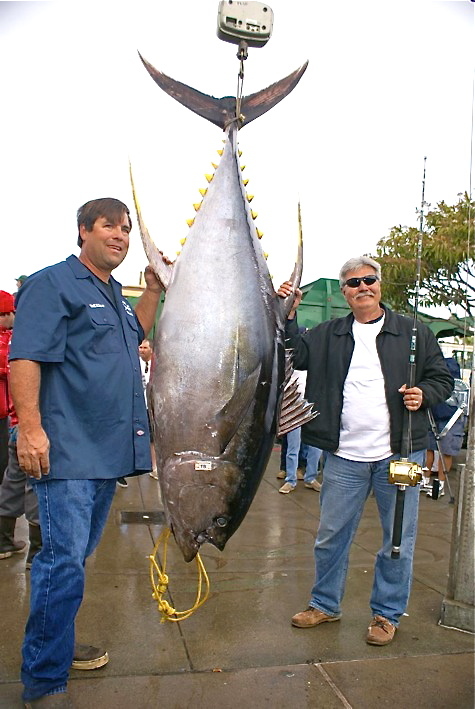 The fish weighed 405.2 pounds and will put Mike Livingston of Sunland, Calif., into the International Game Fish Assn. world-record book. That is, if it is approved, and it probably will be. The current record is 388 pounds, 12 ounces by Curt Wiesenhutter in April 1977. Livingston caught the fish last week aboard the long-range fishing vessel Vagabond out of Point Loma (Calif.) Sportfishing. It was weighed Monday morning upon the boat’s return from the 10-day trip. See the entire story and video of the weigh-in at GrindTV Outdoor. It’s worth a look. 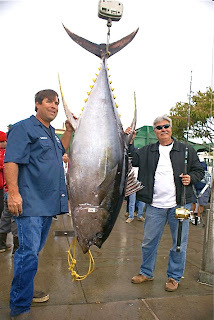 So how long do you suppose it took Livingston to catch this huge yellowfin tuna? According to GrindTV, nearly three hours, or about as long as it would take to watch a Major League Baseball game. Think about that!